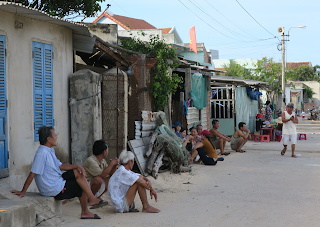 IMTFI Blog: Remittance Technology Models: African Innovations for Southeast Asia? Remittance Technology Models: African Innovations for Southeast Asia? By Ivan Small, Assistant Professor of Anthropology and International Studies at Central Connecticut State University and previously a Postdoctoral Scholar at IMTFI. This blog post derives from a paper presented at Cornell University's Mobile Money, Financial Inclusion and Development in Africa 2017 symposium. One of the earliest and most heralded mobile money systems in the world is the M-Pesa system of Safaricom in Kenya, now extended to ten countries with around 30 million users. Safaricom, Kenya’s largest mobile network operator, introduced M-Pesa in 2007. Kenya, a country with many rural-urban migrants, but also significantly one characterized by periods of uneven political authority and stability, was a prime market to tap the needs and demands for domestic money transfer services. Safaricom, with close connections to government regulators, was able to quickly and effectively establish a national mobile money infrastructure including 40,000 agents that became widespread and most importantly, widely trusted. User uptake was rapid and today the system is seemingly ubiquitous, with some other competitors such as Orange and Airtel also joining in to compete for bankless customers eager to bypass the risks of physical money transfer. 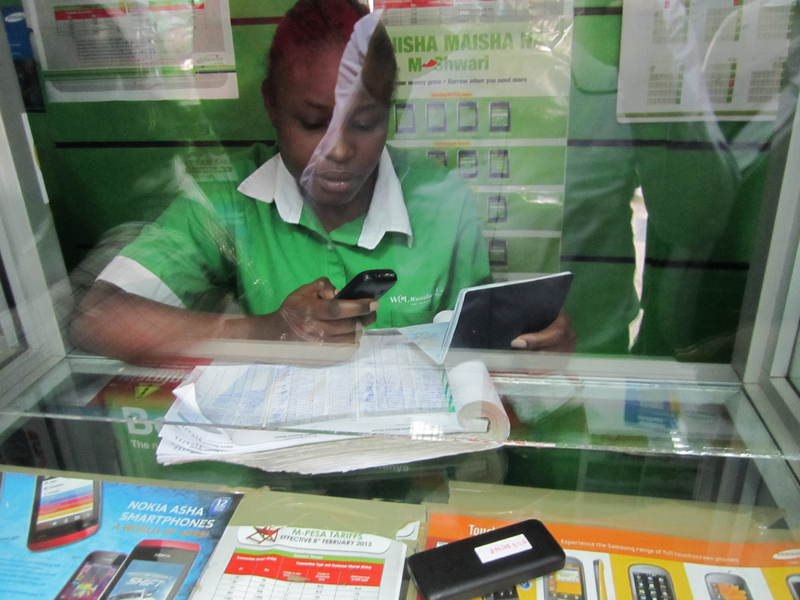 M-Pesa outlets are widespread in Kenya’s cities but also rural areas, where traditional brick and mortar banks are often lacking, and provide near instantaneous money transfer services for customers to cash in and cash out. Besides reducing risk, M-Pesa also reduces transfer fees. Following the success of M-Pesa mobile remittance services, Safaricom has expanded offerings to allow mobile phone users to access a range of other services, from bill and salary payments to an innovative microcredit system called M-Shwari where users can apply for small loans. The latter also reflects a growing practice of utilizing mobile user remittance histories as a form of financial records and Know Your Customer, thus creating greater possibilities for formal financial inclusion. M-Pesa’s model has spread to other countries in Africa – next door Tanzania has seen a significant uptake in mobile money usage, quadrupling the number of people who now have access to financial services according to CGAP. But the M-Pesa effect goes beyond Africa. Indeed, the success of mobile money in Kenya has made it a technological hub and model for much of the Global South. In 2013, GSMA – a trade body representing the interests of many mobile network operators worldwide, held its Mobile Money for the Unbanked conference in Nairobi, Kenya. In attendance were Mobile Network Operators from countries around the world, as well as entrepreneurial start-ups eager to design, develop and hatch new MM systems. Most significantly however was the presence of bank regulators from many countries that did not yet have mobile money service operations but were interested in learning their potential and how to implement them. Among those represented were central bank regulators from some countries in Southeast Asia, including Laos and Vietnam. Southeast Asia is a region that could benefit significantly from mobile money services. Like Africa, Southeast Asia consists of a diverse set of developing economies characterized by relatively low banked populations, high cell phone penetration rates, significant rural populations, and rural-urban migration. After Kenya and outside Africa, the Philippines has one of the most developed domestic mobile money systems in the world, with Smart Money and G-Cash launched in the early 2000s a few years after M-Pesa. The significance of Filipino international migration has also driven internal migration as labor moves to fill in employment vacuums as workers circulate in, out and around the country. Filipino mobile money success has been in part due to the flexibility of regulators that have allowed Mobile Network operators to cash in and cash out without going through a bank mediator, similar to M-Pesa. Notably, the Philippines (along with Kenya) in 2010 had been designated as non-compliant with anti-money laundering protection measures by the Financial Action Task Force, perhaps reflecting looser regulatory environments in which mobile money could more easily flourish in informal settings with relaxed Know Your Customer (KYC) requirements. Tightening regulatory measures on money laundering however, has not diminished the significance of mobile money in the Philippines, nor for that matter, Kenya. Elsewhere in Southeast Asia, a number of pilot services have explored the potential mobile money market. In Cambodia the MNO Wing has offered some services, which although limited in scope seem to have a strong value proposition, as Jeff Fang’s research shared on the IMTFI blog suggests. Myanmar is a country that has been compared to Tanzania in size and scope of unbanked population, availability of bank branches, mobile penetration, and around a 30/70 urban split. Companies like Wave have received regulatory approval for mobile money and hope to scale up in four years, following Tanzania’s model. Access to mobile phones is relatively new, the price of a Sim card having dropped to $1.50 compared to $1500 prior to 2011. Today over 90% of the population have cell phones and 80% of those are smart phones. For more recent IMTFI-supported projects in Myanmar, see "Intermediaries, Cash Economies, and Technological Change in Myanmar and India" and "Money Practices & Services Myanmar." Indeed, the increasing prevalence of smart phones is likely to change the mobile money landscape as Southeast Asia, a later entrant to the scene, gets up to speed. Tom Boellstorff’s IMTFI research for example examines the ubiquity of the smart phone in Indonesia and how it is central to consumption, browsing, and online commerce. However the smart phone, with its short battery life, is likely to face limitations in rural areas where electricity may be scarce and intermittent. As mobile money emerges in Southeast Asia, it is much more likely to be part of a large ecosystem of payments in which value is increasingly cashless and digital. Doing so is attractive for convenience, but of course disrupts and may ultimately bypass traditional intermediaries of remittances as well as businesses who are not part of such payment ecosystems. Another country in which cell phones have had a significant role in connecting traders, markets and information, including in a cross border context with neighboring countries, is Laos. Landlocked with few major roads, Laos seems to be a potentially prime market for mobile money services, but the government has also struggled with anti-money laundering regulations and it will take some time to effectively implement domestic transfer channels that can hold up to regulatory scrutiny in the long run. Towards this end, the Lao Central Bank has been working with the United Nations Development Programme’s Mobile Money for the Poor (MM4P) initiative to establish a working group to launch branchless banking and mobile money services. 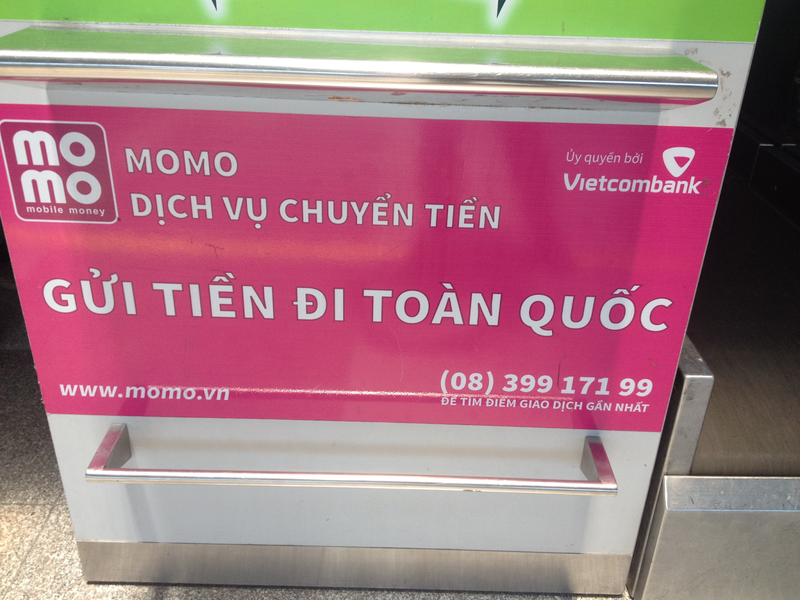 In Vietnam, mobile value transfer practices have started to emerge as users within the same provider network are able to transfer airtime credit via phone. There has also been experimentation with electronic kiosks where people can deposit money and input a cell phone number where the credit will be sent. Some start-ups like Momo have moved from airtime credit transfer to mobile wallet and e-payment services. 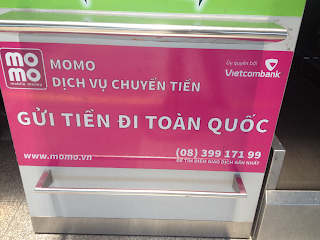 The Vietnam Bank for Social Policies, in partnership with MasterCard and the Asia Foundation, recently ran a feasibility study and pilot project for mobile banking. However, the regulatory go ahead for Mobile Network Operators to provide P2P services without the intermediary of a bank has not yet happened, and many mobile money start up services appear to be closer to mobile banking than a service along the lines of M-Pesa or G-Cash. In many countries in Southeast Asia, due to a long history of war, regime change, demonetization and economic instability, there is also a history of unbanked value storage in material items that range from gold to US dollars to motorcycles. People in countries like Cambodia experienced the destruction of the Central Bank and the abolishment of money in the 1970s. 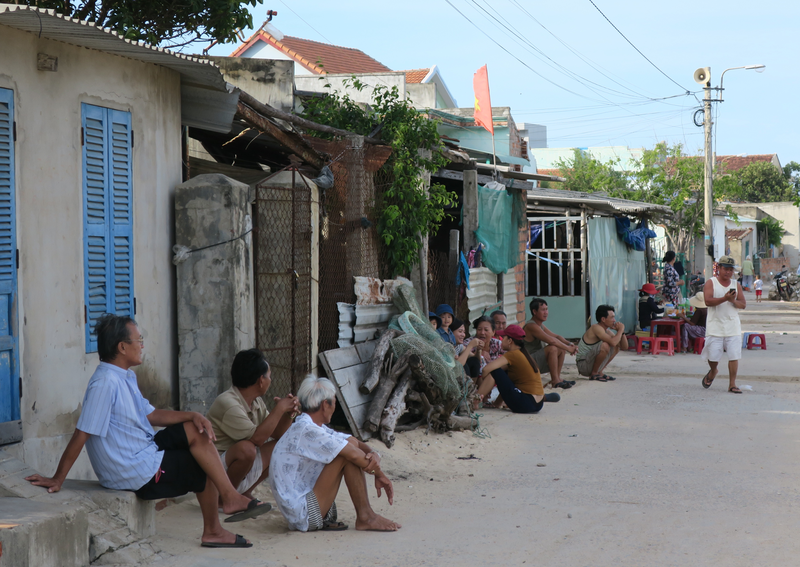 In Vietnam, informal black markets traders and money agents stepped in to provide financial services when the state sector was unable to do so. This led to the development of long standing networks where trust and history are extremely important when it comes to choosing financial services. It will be important to recognize the potential impact of how such historical, symbolic and material value management traditions and experiences will shape potential mobile money technological horizons going forward. Mobile money has become somewhat of a buzz-word in Southeast Asia, but it also remains an anticipatory future horizon for many countries outside of the Philippines exception. In many cases, mobile money is conflated with mobile banking, and indeed the rapid uptake of smart phones and extension of banking channels in many countries like Vietnam, Indonesia and Cambodia suggest that the smart phone – banking equation is likely to change the situation in those countries by the time mobile money becomes fully established and is widely operable. In this sense, “mobile” “money”, in a broad sense of the word(s), is very much the future in Southeast Asia. However, the contours of adoption and adaptation may be quite different from what M-Pesa looked like when it was first introduced in 2007, and also different across diverse regional financial cultures and national legal regulatory contexts, ranging from Indonesia to Laos. In this sense, models like M-Pesa and other stories and lessons from Africa offer inspiration as well as cautionary tales, rather than blueprints, for how domestic and even cross border remittance technologies and frameworks will eventually take shape in Southeast Asia. About the author: Dr. Ivan V. Small is Assistant Professor of Anthropology and International Studies at Central Connecticut State University. He is co-editor of Money at the Margins: Global Perspectives on Technology, Financial Inclusion and Design (forthcoming 2018, Berghahn Press) and author of Currencies of Imagination: Channeling Money and Chasing Mobility in Vietnam (under contract, Cornell University Press).